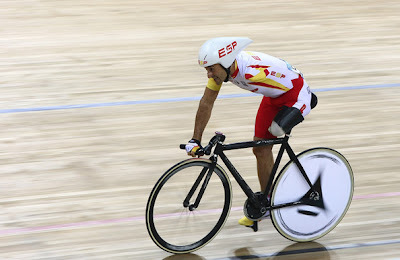 Juan Jose Mendez of Spain competes in the Men's Individual pursuit (LC4) in the Track Cycling event. 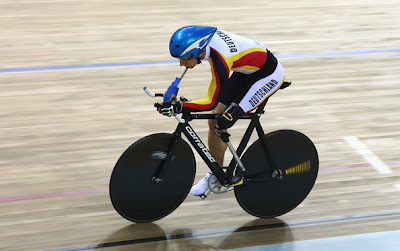 Michael Teuber of Germany competes in individual pursuit (LC4) Track Cycling event at Laoshan Velodrome during day three of the 2008 Paralympic Games. 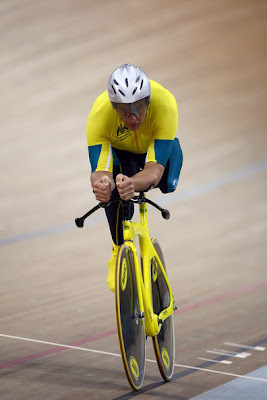 Michael Milton of Australia competes in the Men's Individual pursuit (LC 3) Track Cycling event at Laoshan Velodrome during day three of the 2008 Paralympic Games. 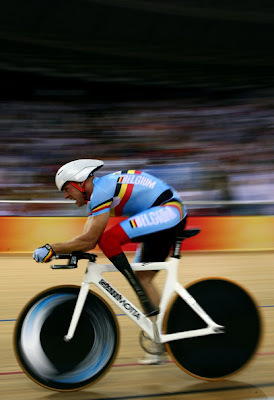 Jan Boyen of Belgium competes in the Men's 1km time trial (LC2) Track Cycling event at Laoshan Velodrome during day three of the 2008 Paralympic Games . Juan Jose Mendez is a paralympic track cyclist who's missing his left arm and left leg. 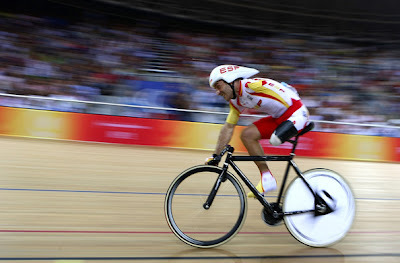 He competes in the men's individual pursuit event in Beijing, China.